Konami has issued a press release outlining their E3 plans for Metal Gear Solid V: The Phantom Pain, stating that the game is the publisher’s focal point at the show. Konami Digital Entertainment B.V. has announced that it will premiere a live gameplay presentation of the highly anticipated METAL GEAR SOLID V: THE PHANTOM PAIN at this year’s Electronic Entertainment Expo (E3) event in Los Angeles. E3 is the focal point of the interactive entertainment industry, taking place at the Los Angeles Convention Center between June 10th – 12th. Located at Booth #701, KONAMI will host a series of presentations by invitation only that will mark the first in-depth demonstration of Hideo Kojima’s latest, and most ambitious, addition to the METAL GEAR SOLID universe. Concluding the METAL GEAR SOLID V experience, METAL GEAR SOLID V: THE PHANTOM PAIN focuses on the hero of the series, Snake, and follows the events of the recently released prologue, METAL GEAR SOLID V: GROUND ZEROES. The presentation highlights series Creator and Director Hideo Kojima’s ground-breaking vision of creating the largest and most technically accomplished title in the series’ history. The gameplay presentation will showcase approximately 30 minutes of gameplay, focusing on new features and a short walkthrough of one of the game’s major locations. Members of the Kojima Productions team will be playing the game live in real-time, showing key elements of the expansive open-world environment, highlighting the sheer attention to detail, and demonstrating the freedom offered to players in the game. The presentation will also illustrate how the dynamic environment, including the changing weather and the differences between night and day impacts the famed stealth-based gameplay. The freedom of movement, use of various modes of transport and key infiltration techniques will also be shown in their many forms. Attendees will also witness how specific actions have a marked affect on the game’s story. In addition to the gameplay presentation, KONAMI has also revealed a new trailer for METAL GEAR SOLID V: THE PHANTOM PAIN. The exclusive new footage, fresh from its acclaim at Sony’s E3 showcase, highlights the fall of Snake as the series takes on a darker, more serious tone. The cinematic trailer depicts the harsh realities of war and its many casualties. 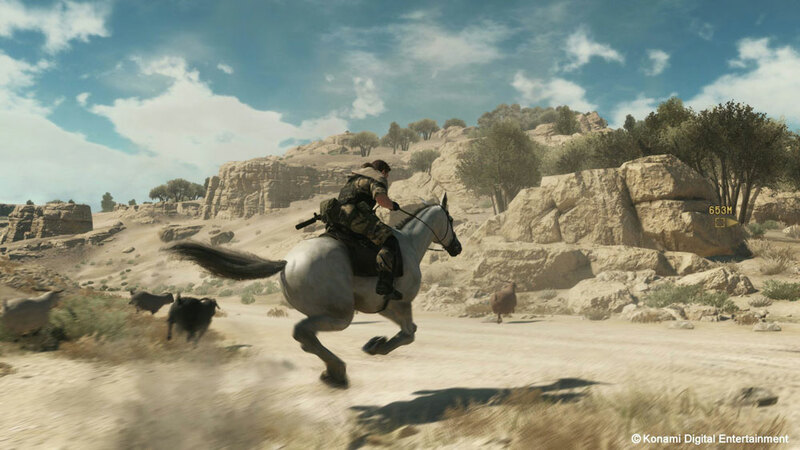 METAL GEAR SOLID V: THE PHANTOM PAIN is the focal point for KONAMI’s E3 presence this year. Visitors to the booth will be able to experience the evolution of the METAL GEAR SOLID series, leading up to the new game, and how the franchise has grown in scale and style over the years. One interesting point about their demonstration is that it will show how ‘specific actions have a marked affect on the game’s story’. The game will be demonstrated to invited press starting today. It’s still unclear if (and if so, when) the gameplay will be published on the web, but it does sound like it would be rather interesting to watch.